wattEV2buy explores the Samsung electric car strategy, Samsung Renault EV models, news, and sales as it vies for a position in the fast-growing EV market. Renault Samsung Motors started as Samsung Motors in 1994 with the help of Nissan but due to losses in the Asian Financial Crisis of 1998 became a subsidiary of Renault in 2000 with Samsung maintaining a minority stake of 19.1%. Renault Samsung Motors (RSM) is headquartered in Busan, South Korea. RSM introduced a locally produced version of the Renault Fluence Z.E. in 2012. Go to our detailed breakdown of Global EV Sales to see how the Samsung electric car strategy fares to its competitors in the fast-growing EV market. Week 47 2017 - 2nd Generation Samsung SM3 ZE unveiled. Renault Samsung Motors (RSM) unveiled the 2018 Renault Samsung SM3 Z.E. at the Daegu International Future Auto Expo this week. 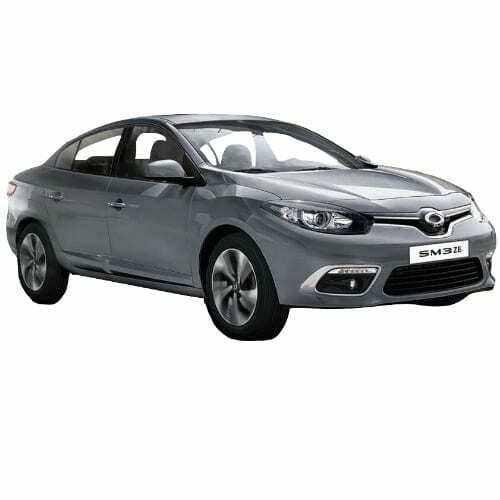 The 2018 Samsung SM3 ZE is based on the Renault Fluence Z.E. which has been discontinued in Europe in 2016. The locally assembled Samsung SM3 Z.E received a battery upgrade from 22kWh to 36kW delivering an extended range of 132 miles (213km). The 2018 model is available at a pre-release price 41.5 million SK Won, which is in the region of $38,000, on order. Sales for the Samsung SM3 Z.E. totaled around 3,500 units since its release in 2013 with reports saying that the Ministry of Health purchased 1,200 units earlier the year. According to the statement of the company, the Samsung SM3 has an autonomy of 5 days based on the average commute in South Korea of around 40km per day (25 miles).